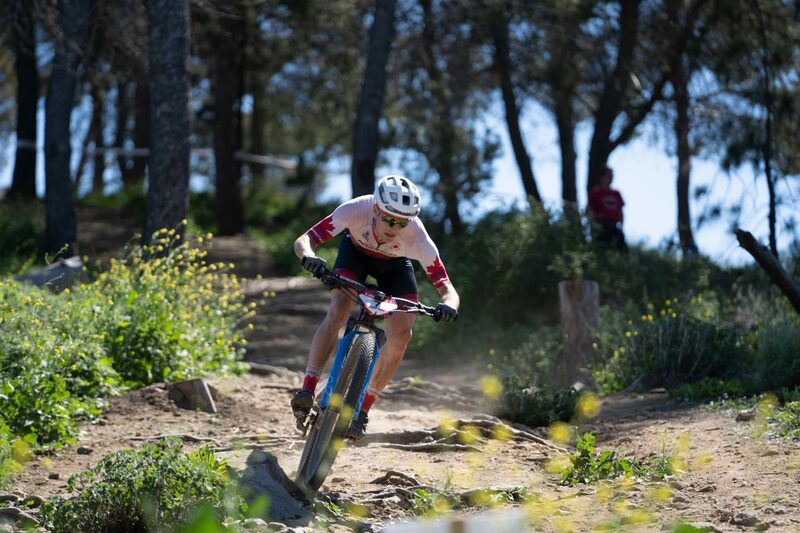 The 2.5 mile Bonelli track was dry and fast, but not as dusty as in the past. Recent rains meant more tacky conditions, which led to high-paced racing from start to finish. 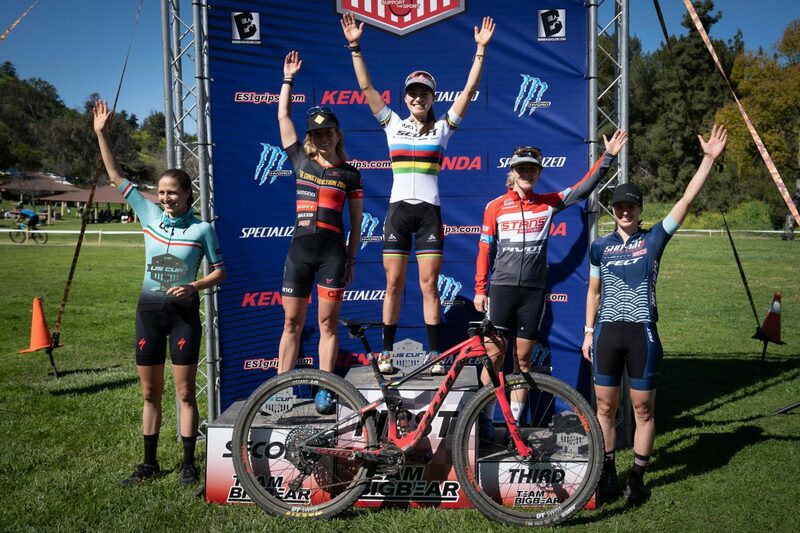 In the women’s race, a battle at the front quickly formed between reigning World Champ, Kate Courtney, Erin Huck, Chloe Woodruff and Haley Batten. Courtenay and Huck separated themselves from the rest of the leaders and battled for a few laps before Courtney pull ahead for good. Huck finished in second with Woodruff in third, capping an all U.S. podium. 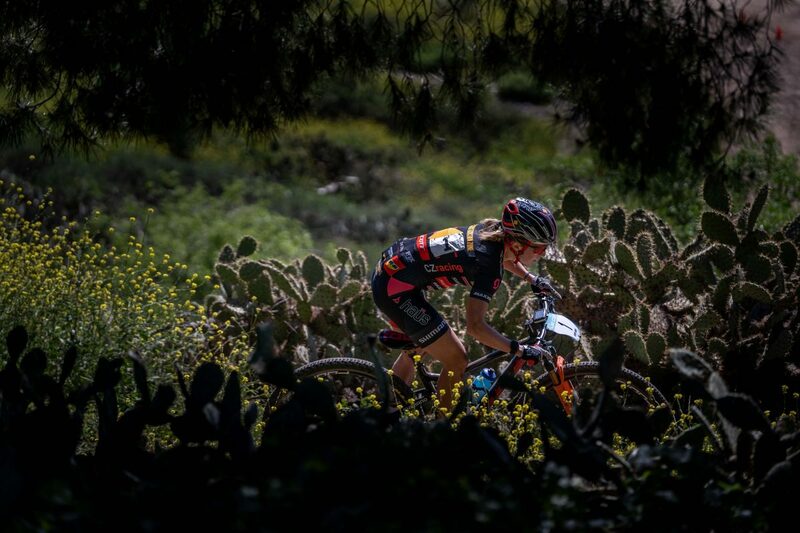 A late charging Lea Davison was closing in on the top three but ran out of real estate and finished a strong fourth in front of Daniela Campuzano Chavez Peon. Batten finished the day in sixth. 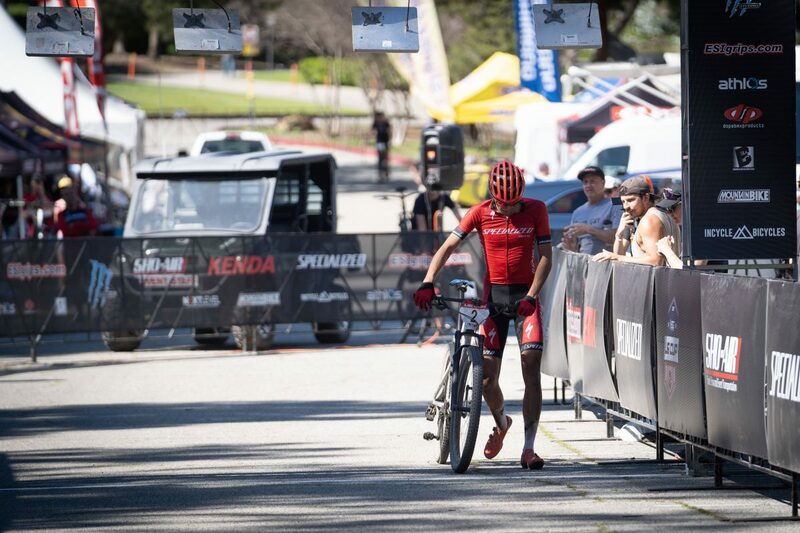 In the men’s race, the field stayed together for a few laps before Jose Gerardo Ulloa Arevalo attacked on the longest climb and gapped the front riders. Peter Disera, Christopher Blevins, Raphael Gagne chased with only Disera able to keep Arevalo in sight. 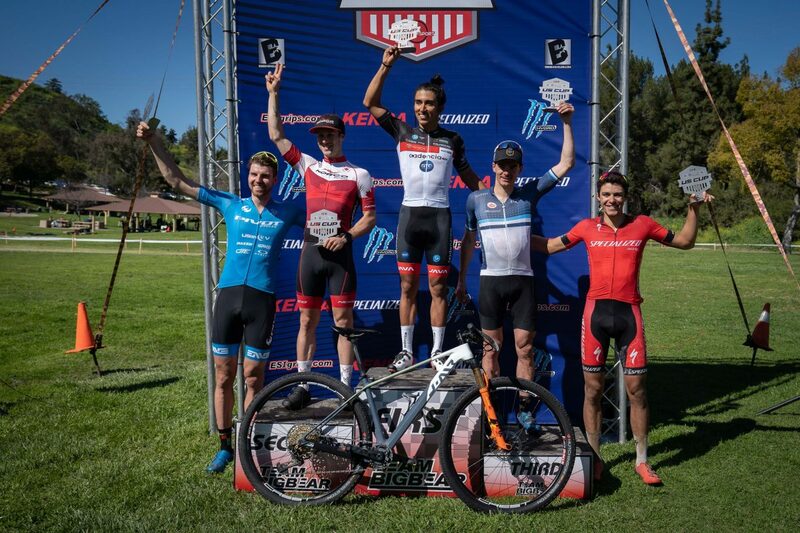 At the end, Arevalo took the win easily with Disera also putting minutes into the rest of the field in a strong second place finish. 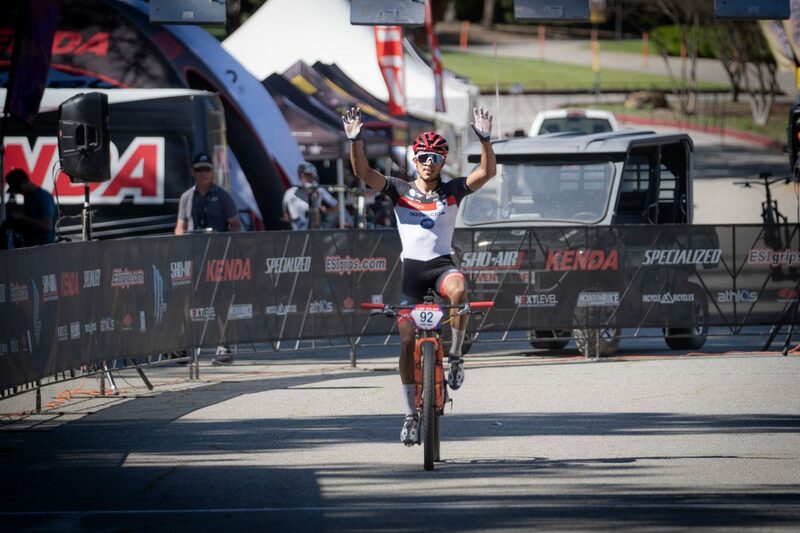 Gagne won a three-man sprint for third after Blevins broke his chain during the sprint pushing him back to fifth. Bouchard finished fourth. 74 SHUN MATSUMOTO 4 70 00:08.4 43 ??? ??? Bad luck for Chris Blevins who broke a chain in the sprint for third. © 2019 Bill Schieken.